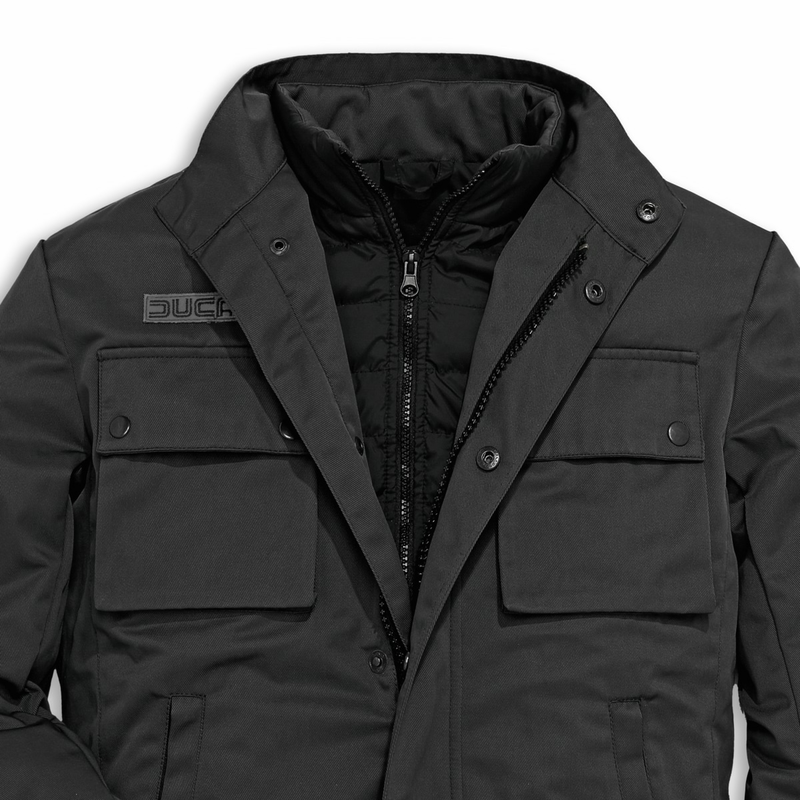 The Historical Tex jacket stands out for its captivating, urban look. 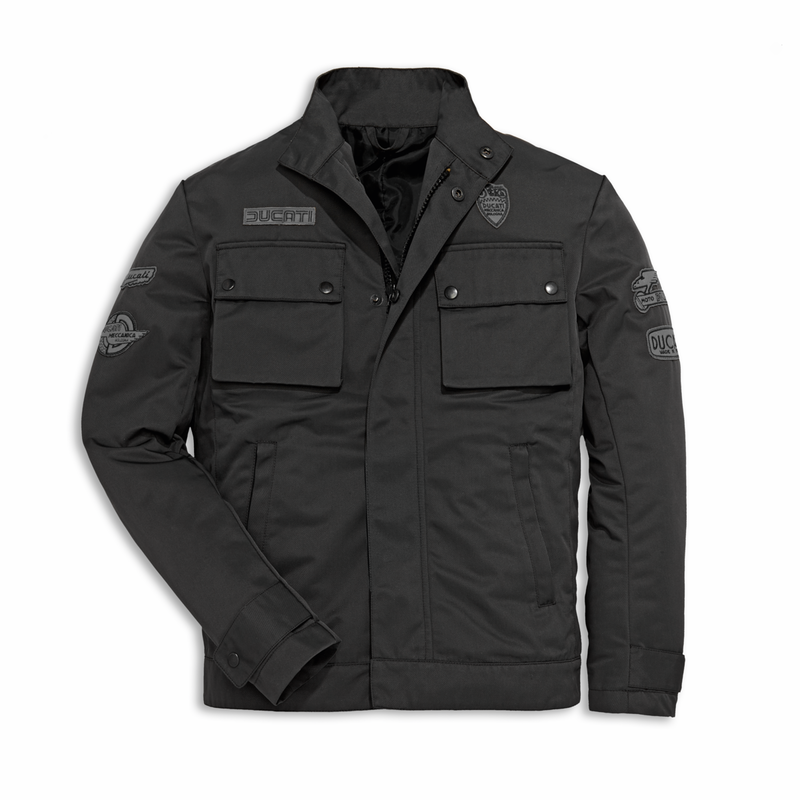 Created in anthracite grey water-repellent fabric, it presents tone on tone patches on the front and shoulders. The waist and wrists are adjustable for a slimmer fit, while the pleated chest pockets are practical and spacious. It can be paired with the Historical gilet, thanks to the belt loop inside the neckline, making this jacket a practical, comfortable piece even in the coolest months. Note: the gilet is sold separately.